I built this model a couple of years ago and it's a hard model to find. Spend about $20 for the model on eBay. I didn't paint the model as instructed. Silver underbody looks good IMO. Better shot of the color, little Acura stickers on the hub cap, and brake detail! Some pictures when I built the car. Some detail of the real car. 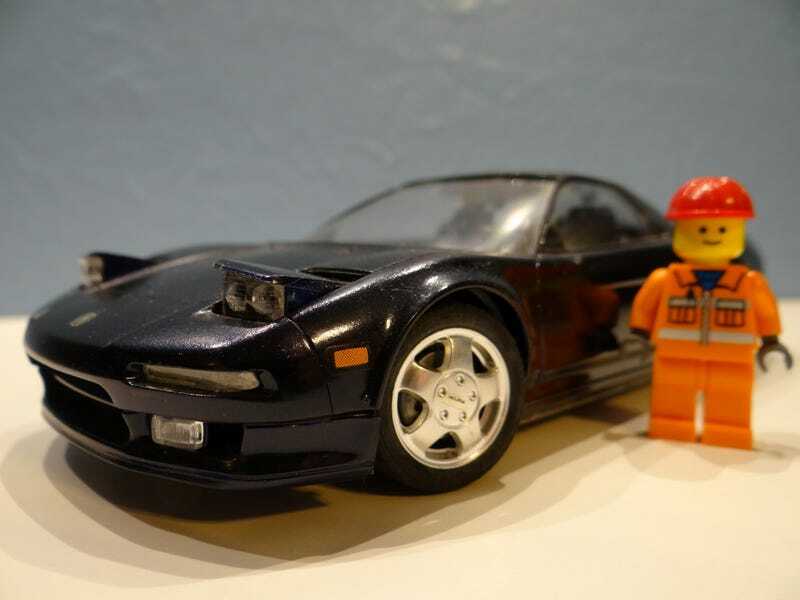 Front page of the instructions tell a good bit about the NSX too. Lots of parts for a 1:24 model. Painting and assembling the model.